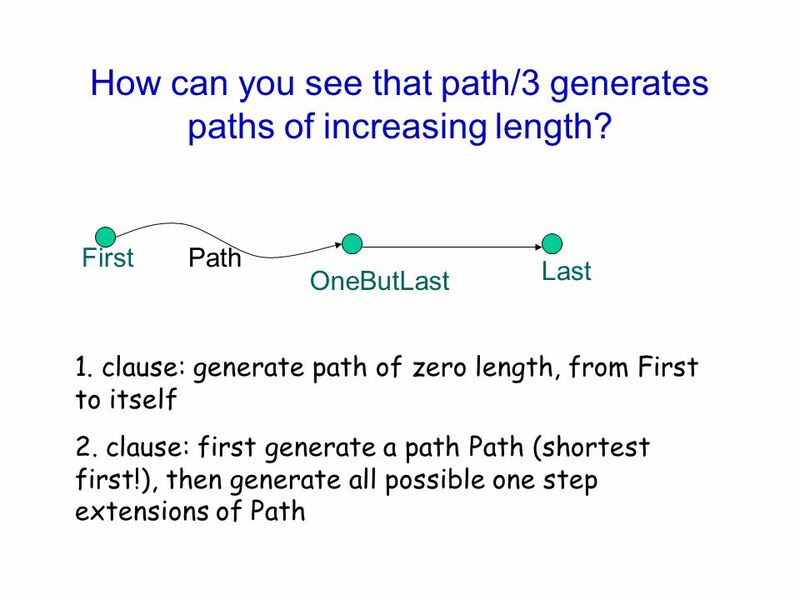 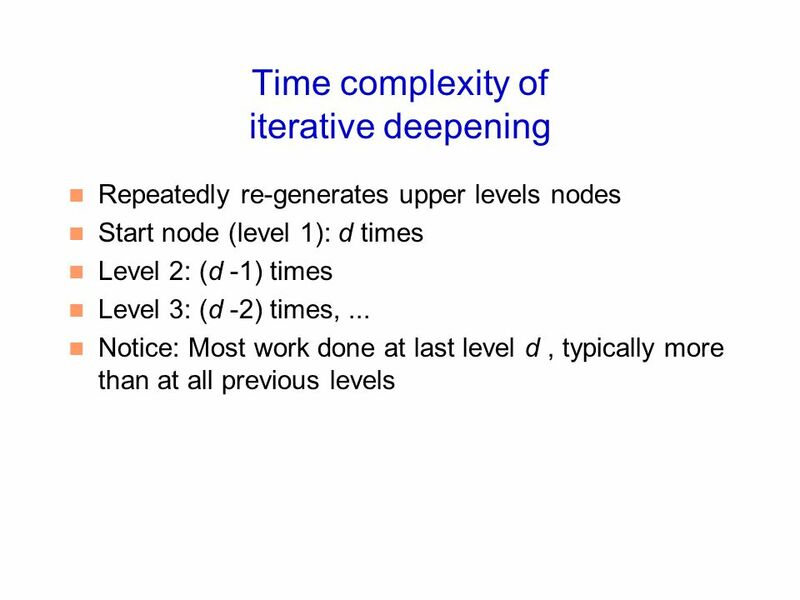 21 How can you see that path/3 generates paths of increasing length? 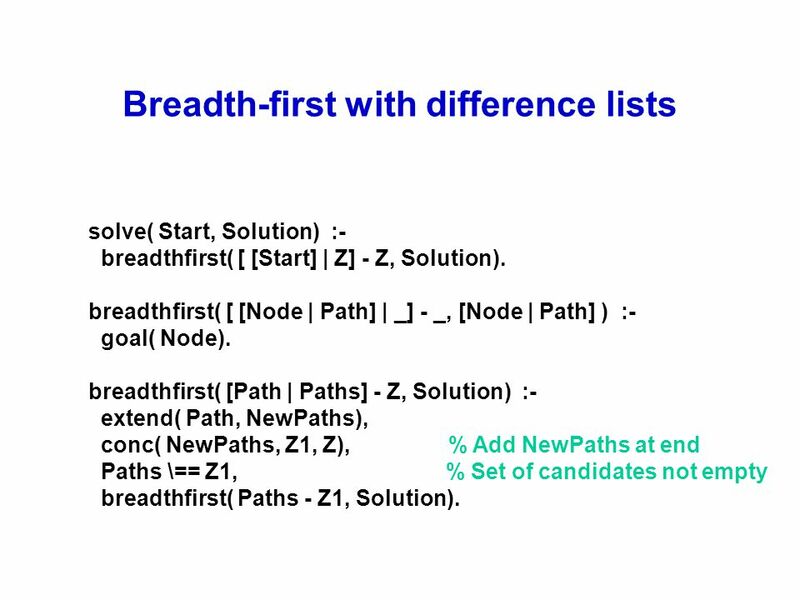 solve( Start, Solution) :- breadthfirst( [ [Start] | Z] - Z, Solution). 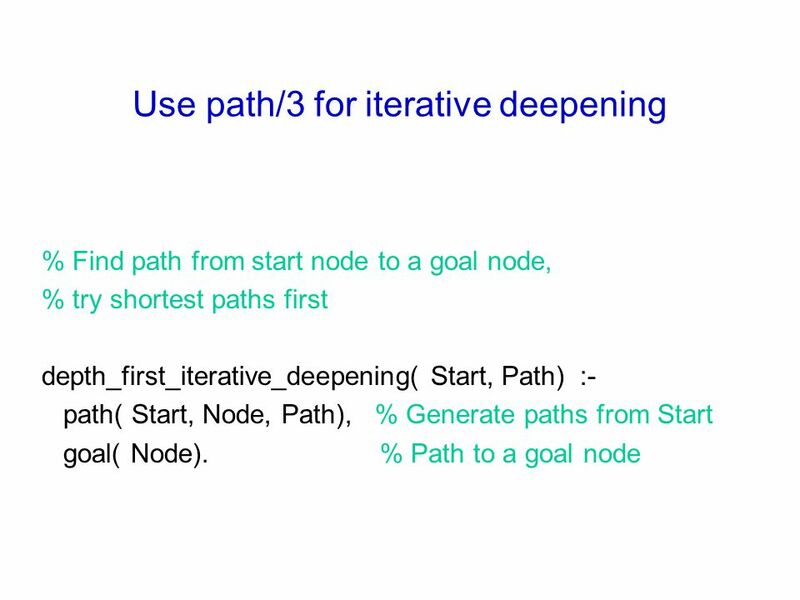 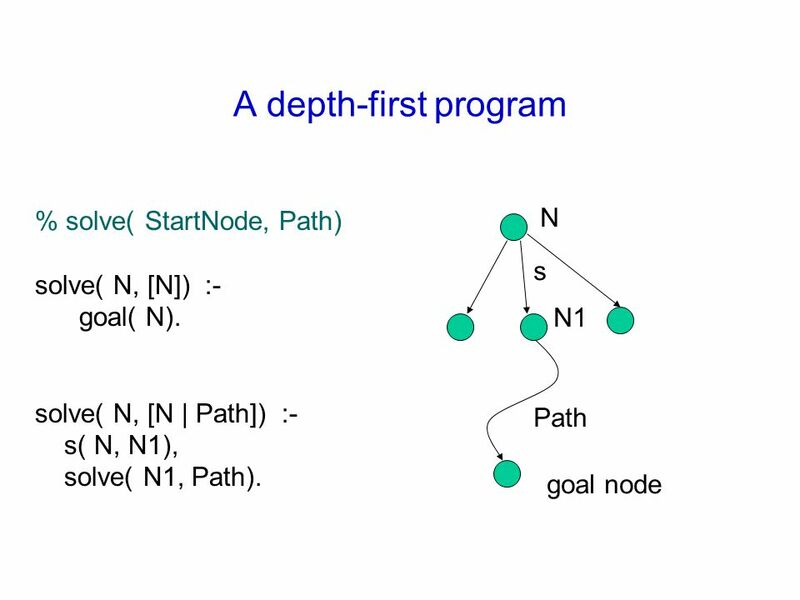 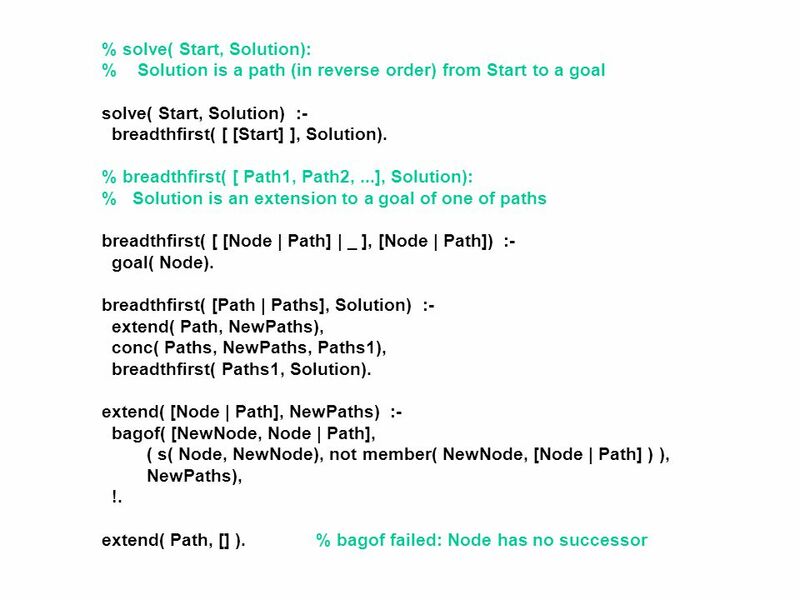 breadthfirst( [ [Node | Path] | _] - _, [Node | Path] ) :- goal( Node). 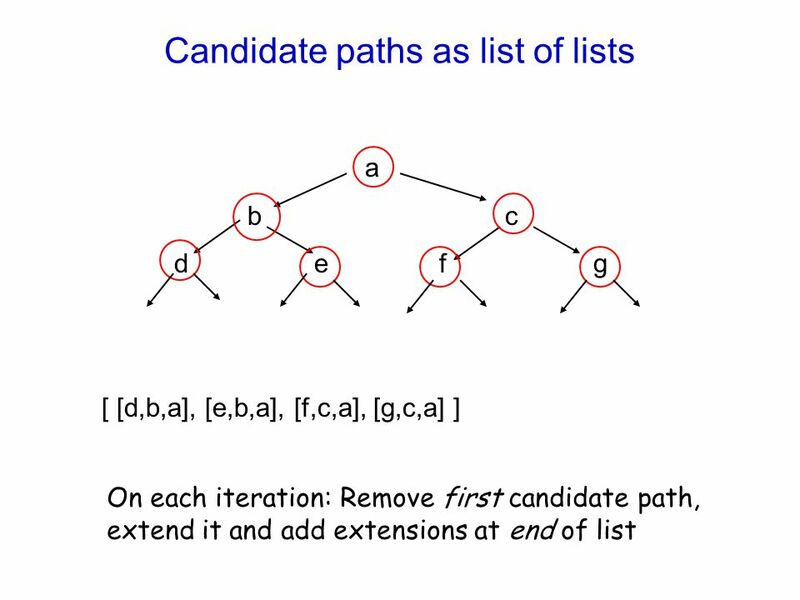 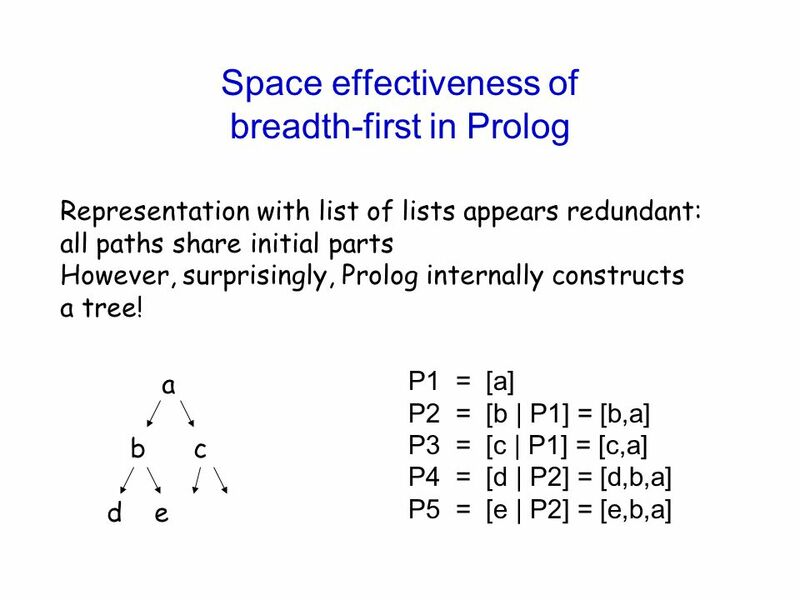 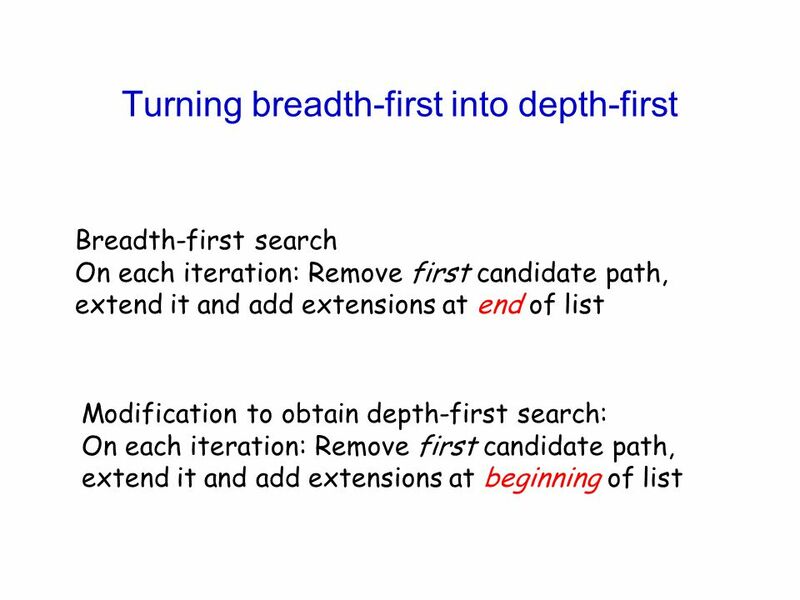 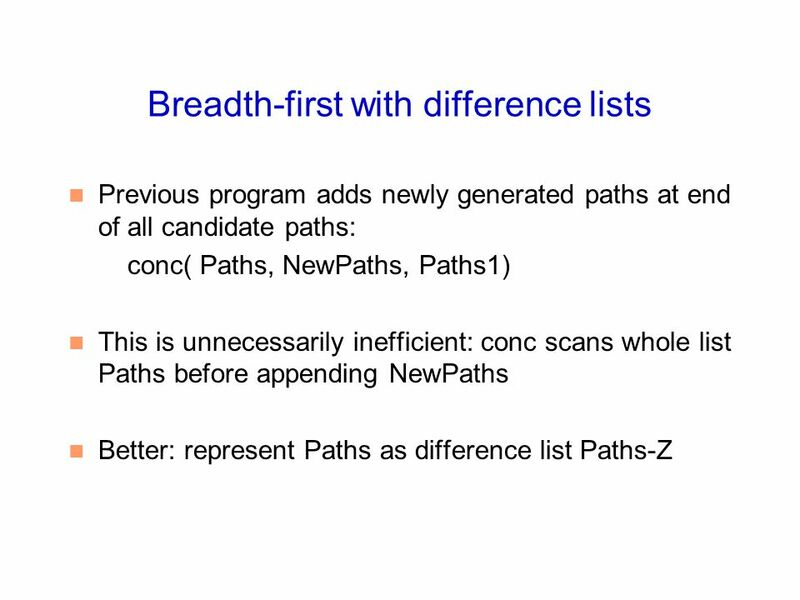 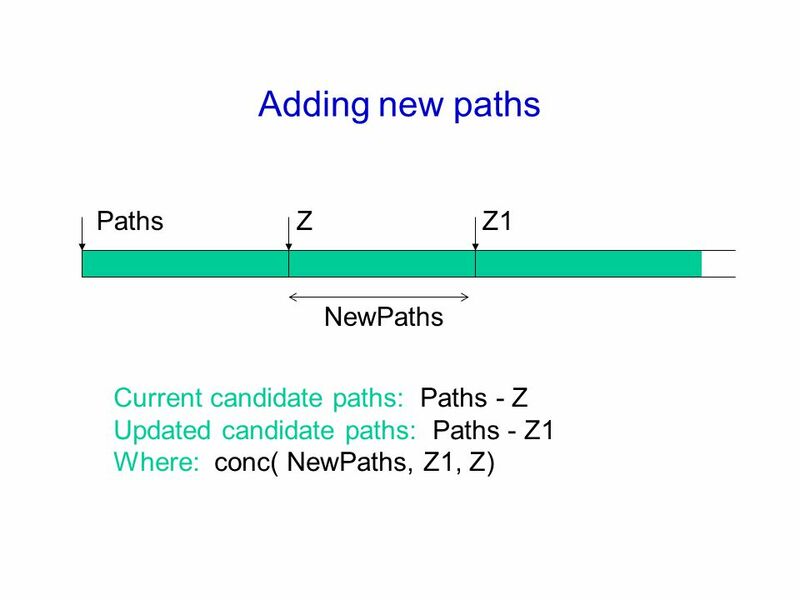 breadthfirst( [Path | Paths] - Z, Solution) :- extend( Path, NewPaths), conc( NewPaths, Z1, Z), % Add NewPaths at end Paths \== Z1, % Set of candidates not empty breadthfirst( Paths - Z1, Solution). 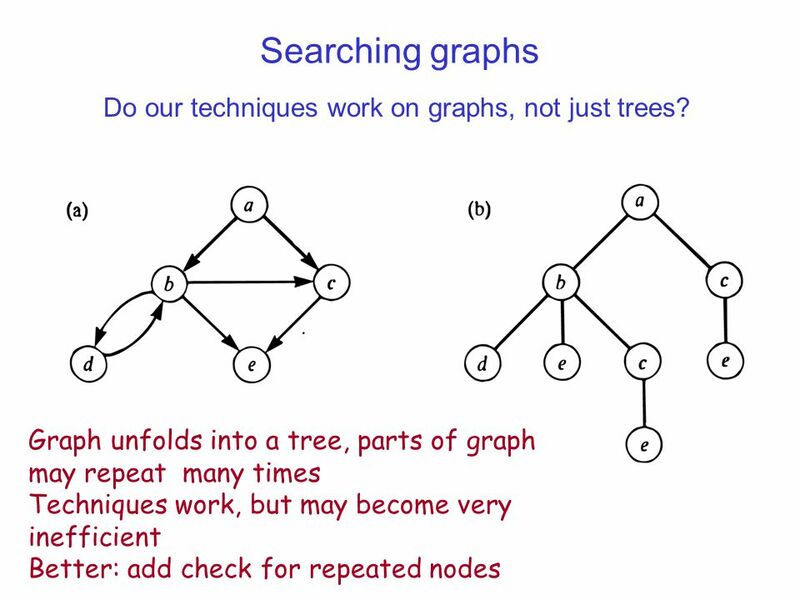 41 Do our techniques work on graphs, not just trees? 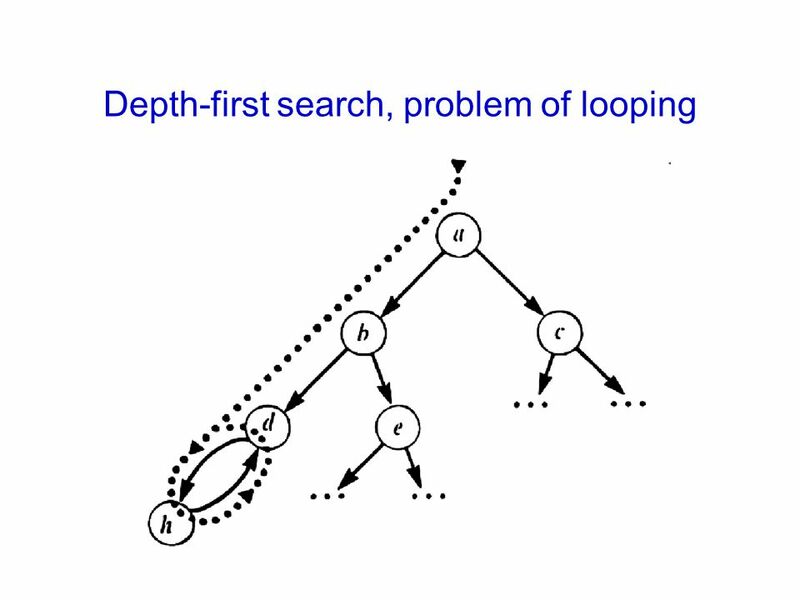 Download ppt "PROBLEM SOLVING AND SEARCH"
Solving problems by searching Chapter 3. 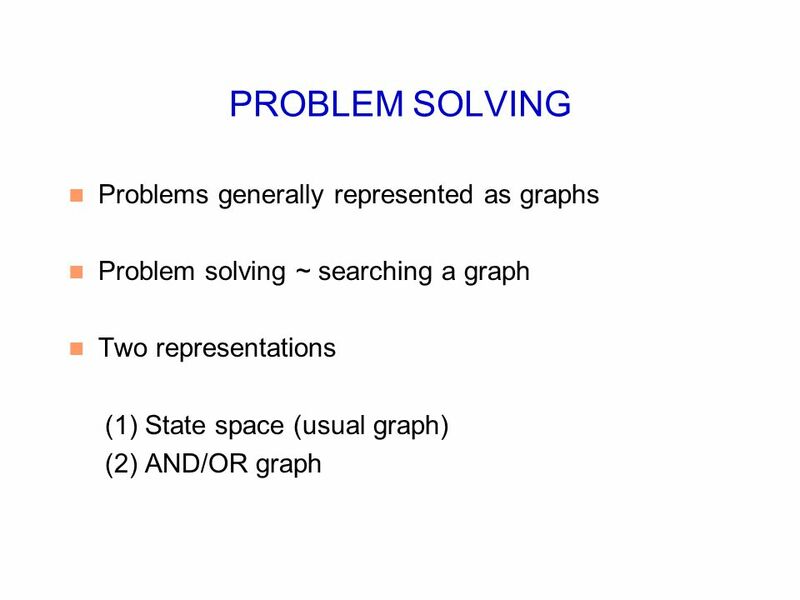 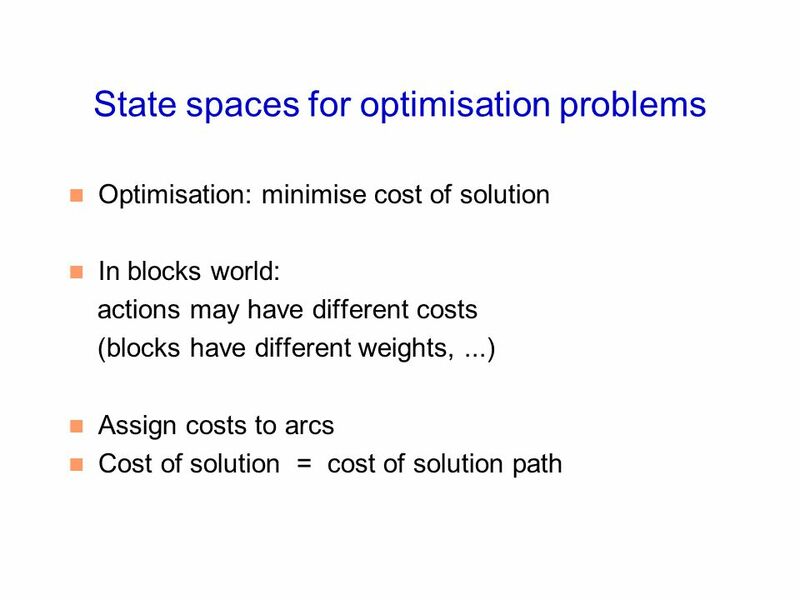 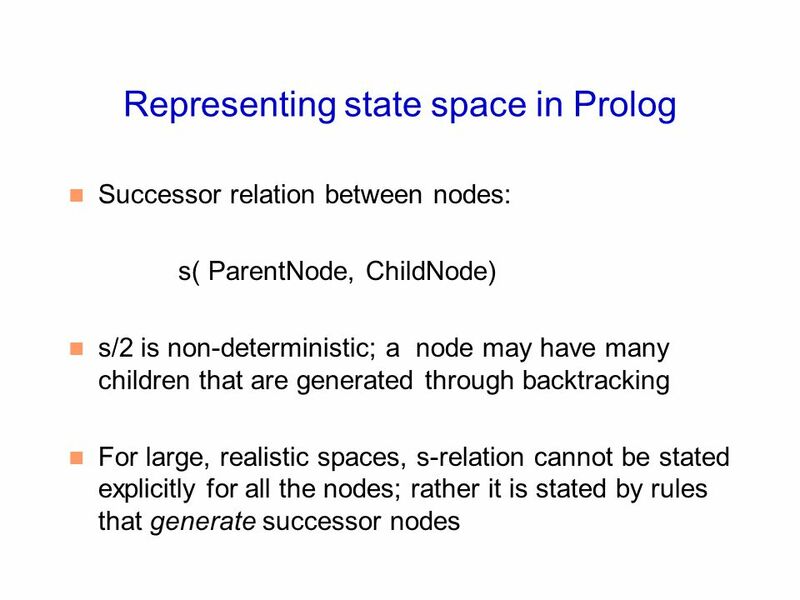 Outline Problem-solving agents Problem types Problem formulation Example problems Basic search algorithms. 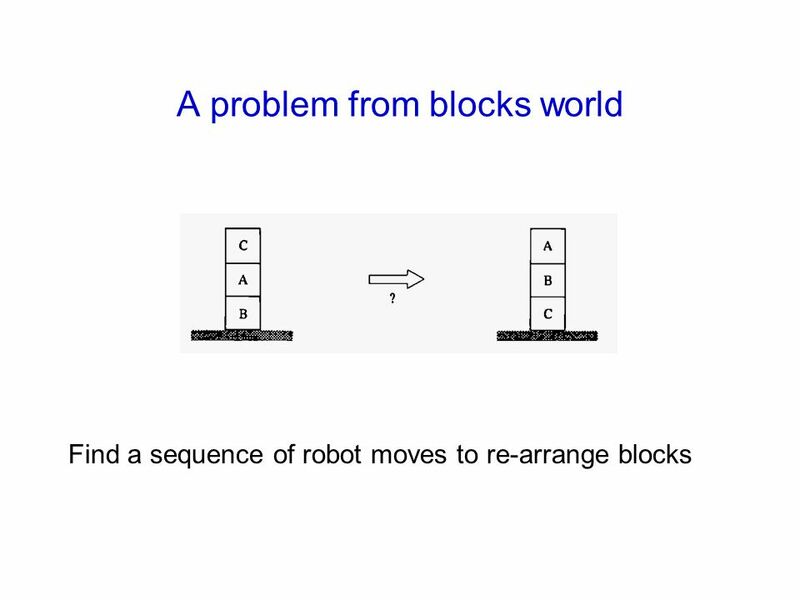 Artificial Intelligence By Mr. Ejaz CIIT Sahiwal. 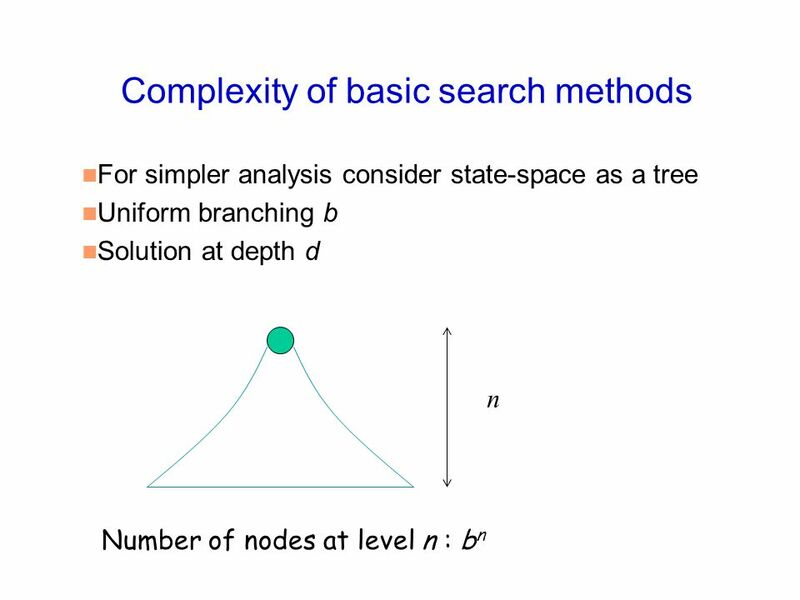 HEURISTIC SEARCH Ivan Bratko Faculty of Computer and Information Sc. 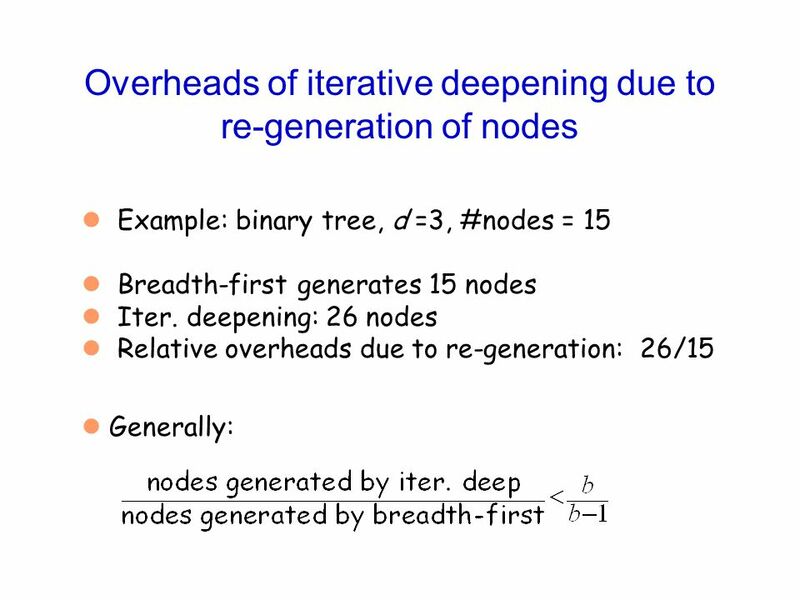 University of Ljubljana. 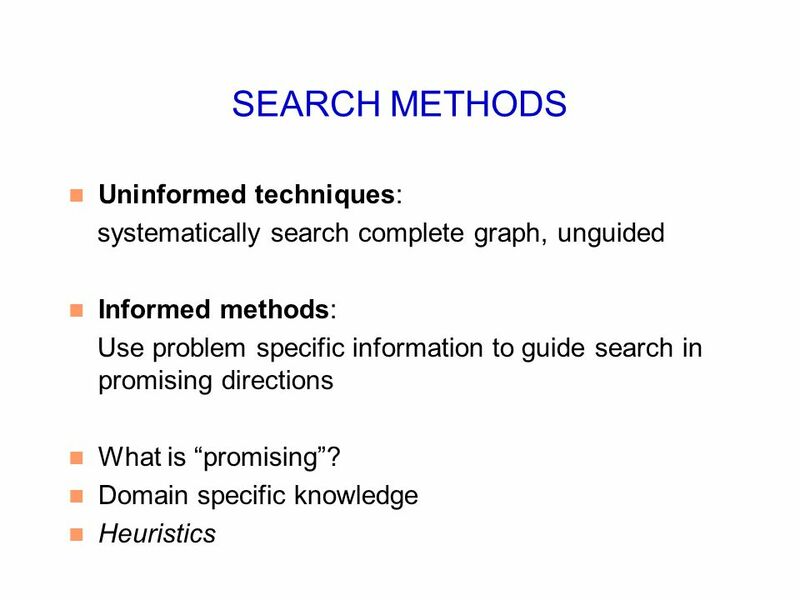 Problem Solving by Searching Copyright, 1996 © Dale Carnegie & Associates, Inc. Chapter 3 Spring 2007. 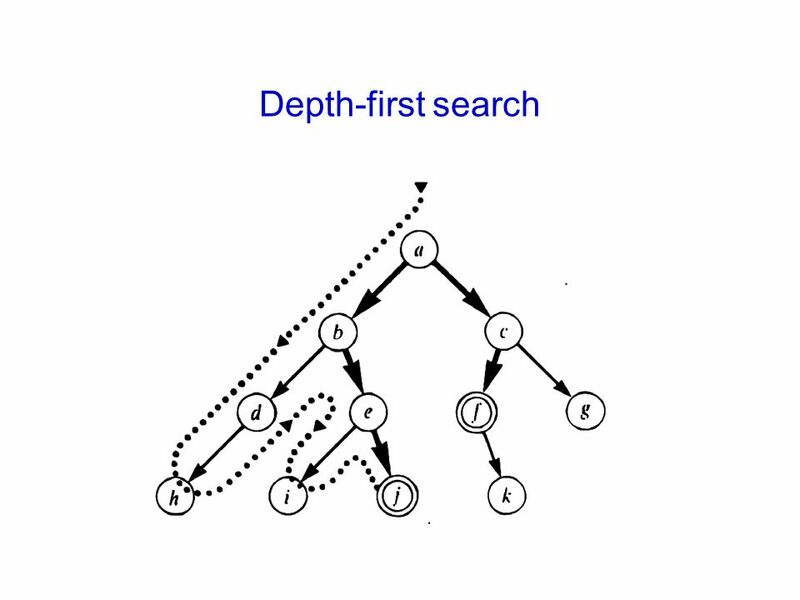 Artificial Intelligence Chapter 9 Heuristic Search Biointelligence Lab School of Computer Sci. 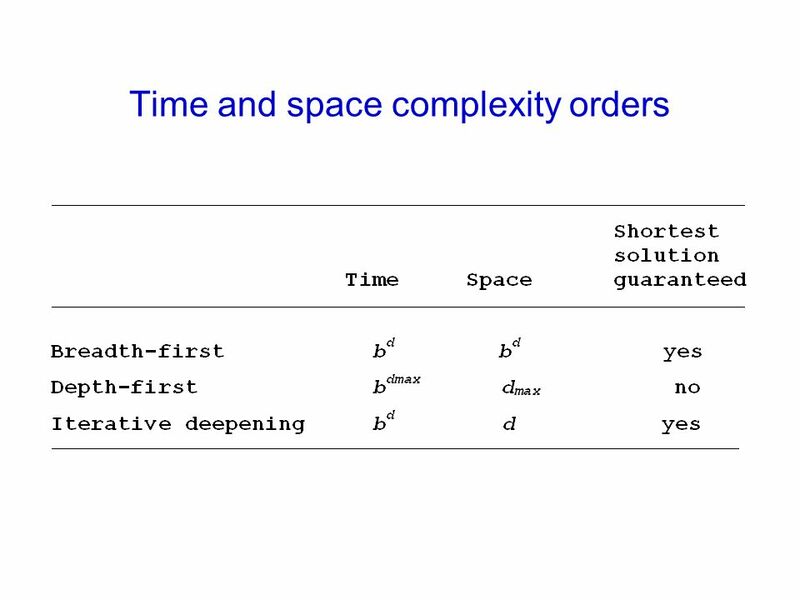 & Eng. 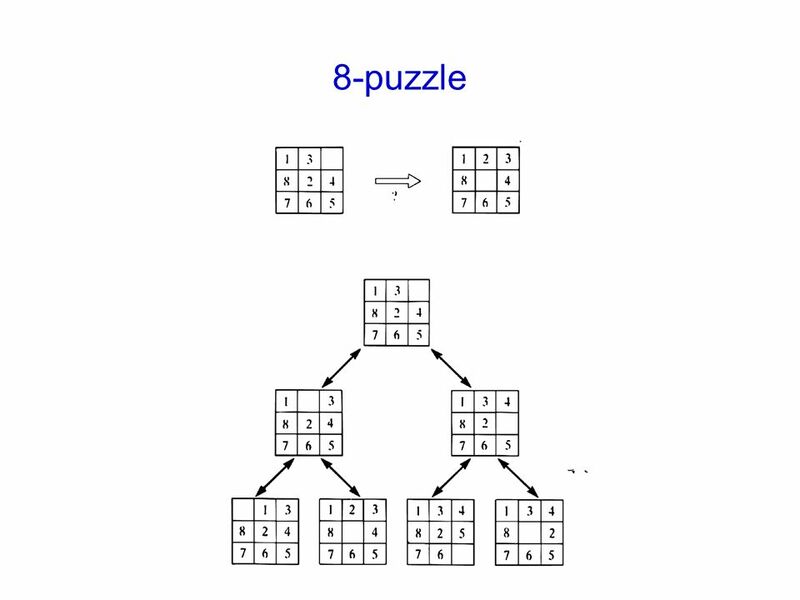 Seoul National University. 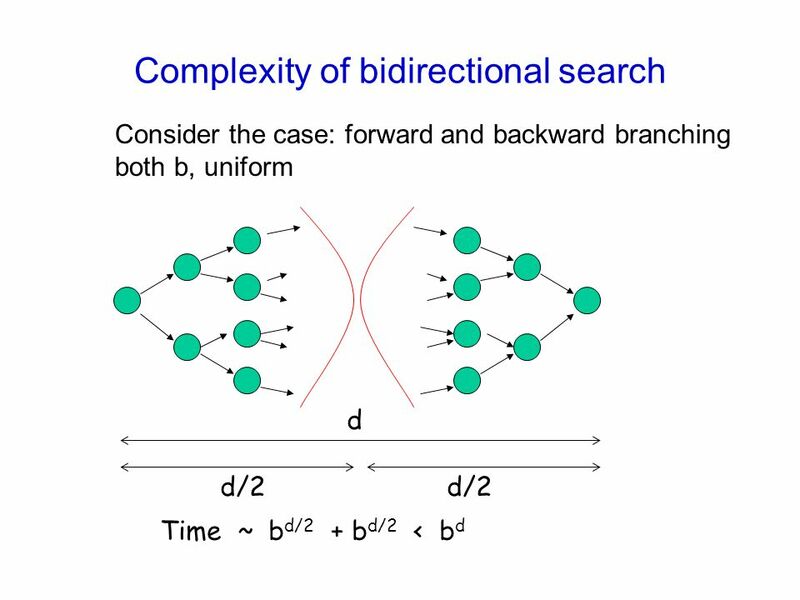 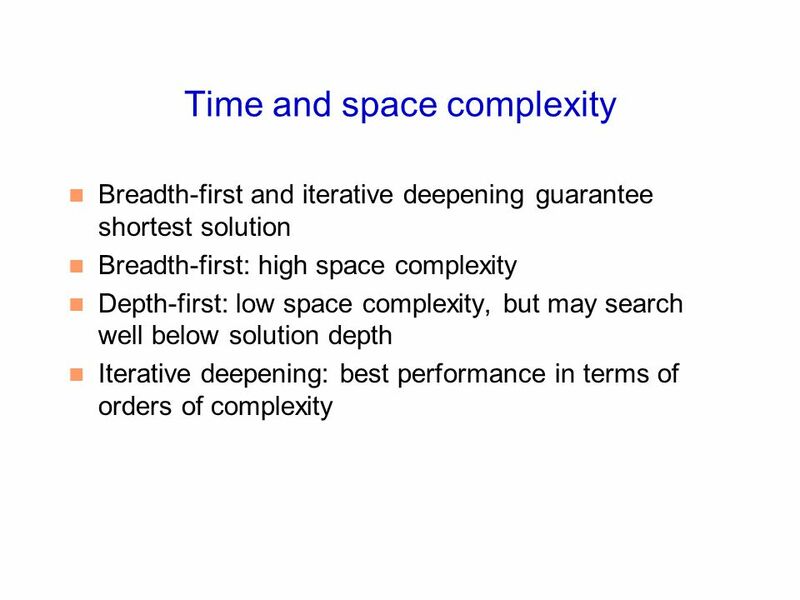 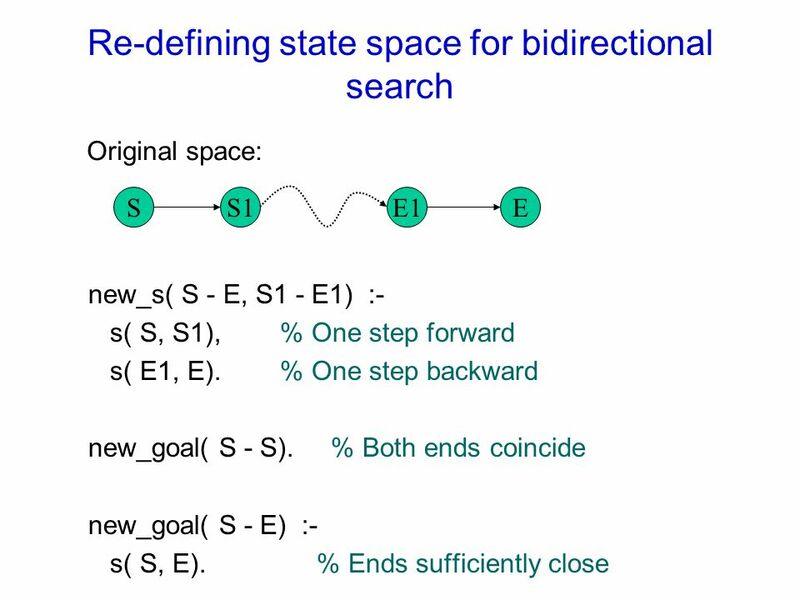 Comp 307 Problem Solving and Search Formalize a problem as State Space Search Blind search strategies Heuristic search. 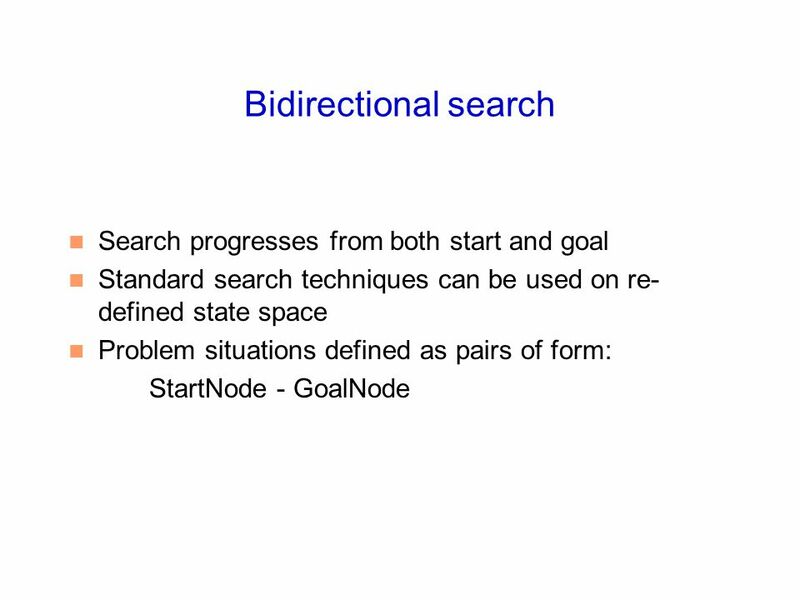 Problem Solving and Search Andrea Danyluk September 9, 2013. 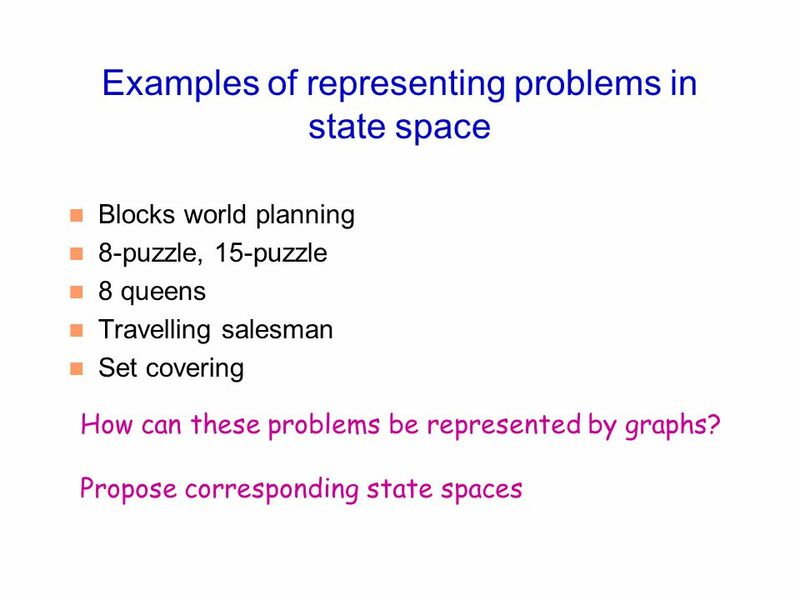 Problem Solving Agents A problem solving agent is one which decides what actions and states to consider in completing a goal Examples: Finding the shortest. 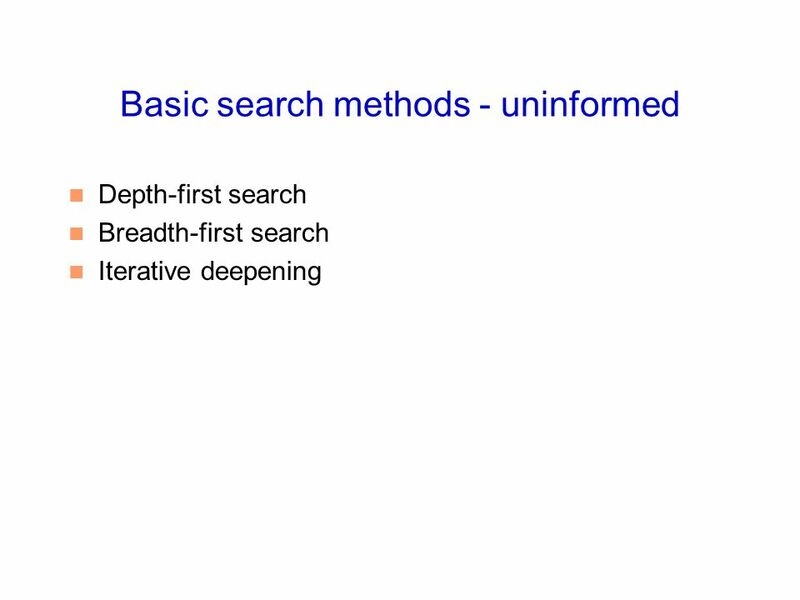 1 Lecture 3 Uninformed Search. 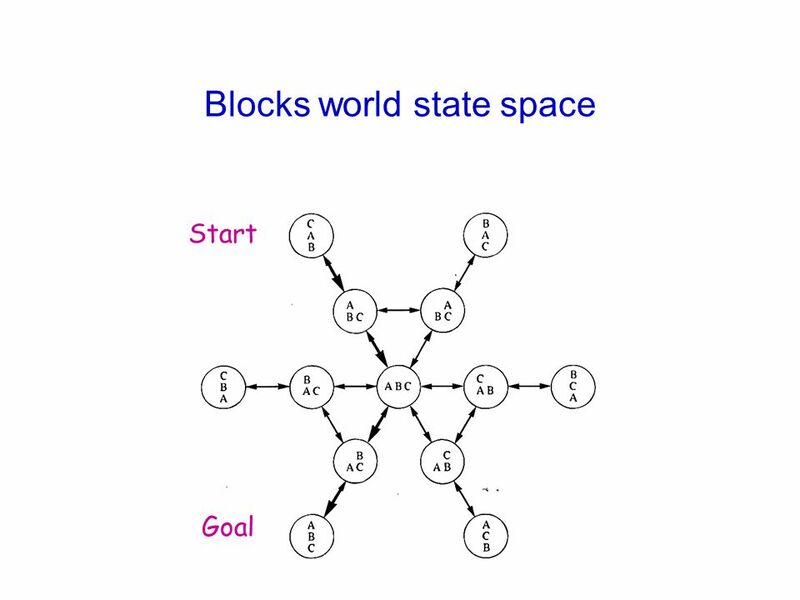 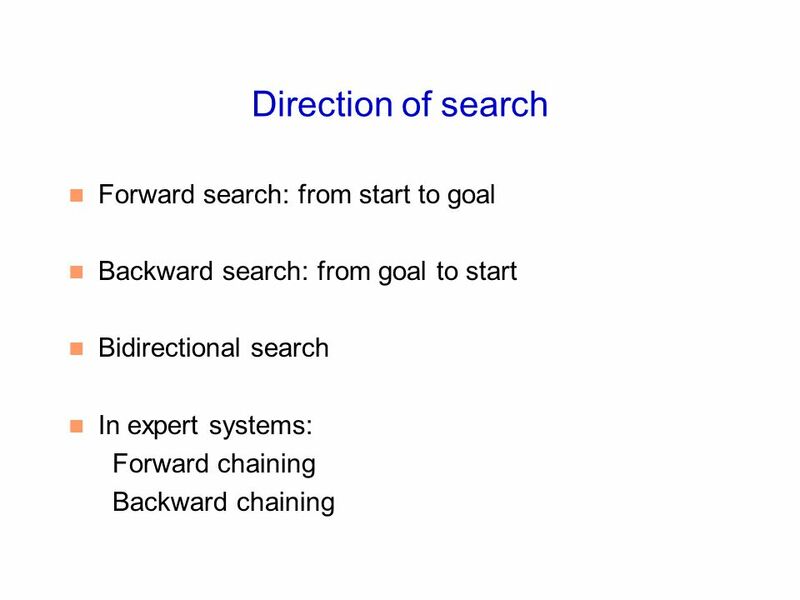 2 Uninformed search strategies Uninformed: While searching you have no clue whether one non-goal state is better than any. 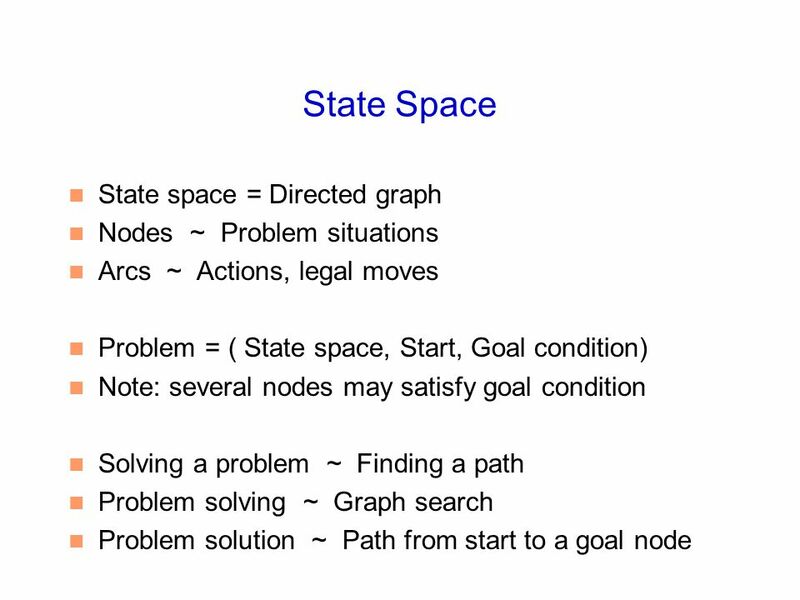 Solving Problems by Searching Currently at Chapter 3 in the book Will finish today/Monday, Chapter 4 next. 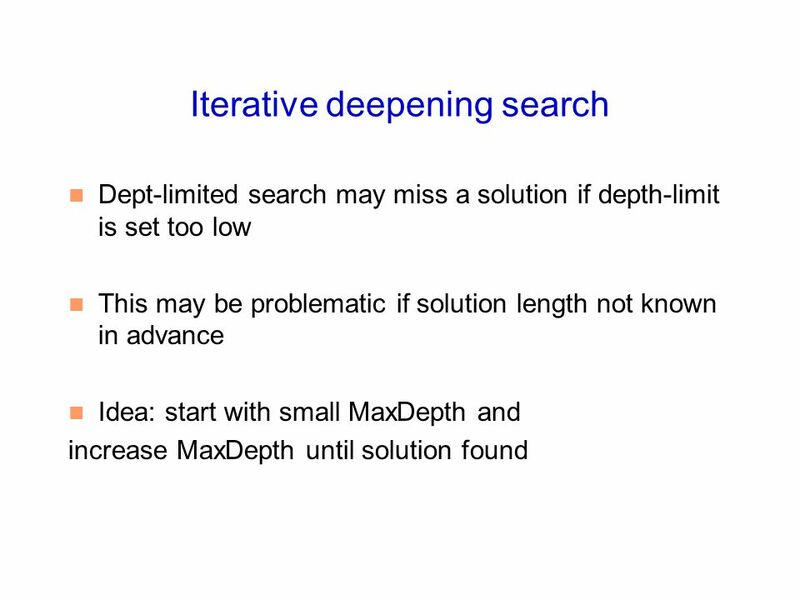 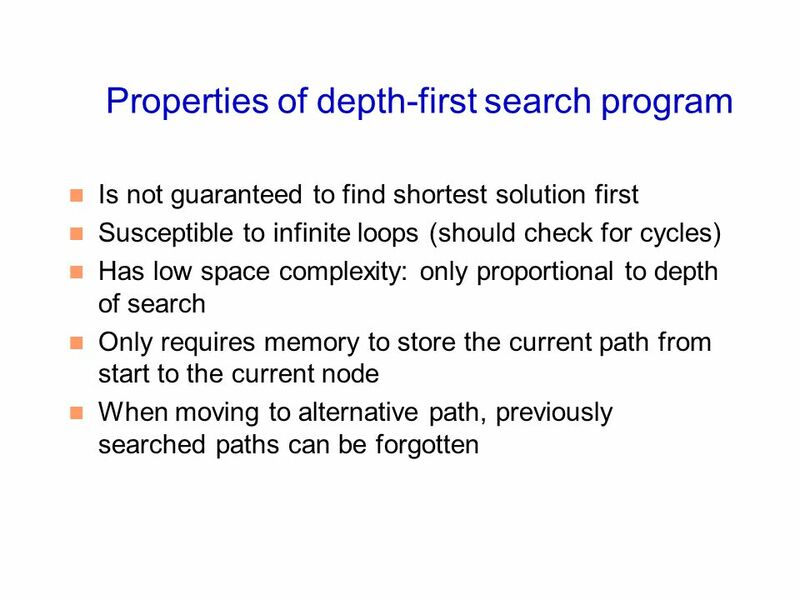 Search Techniques MSc AI module. 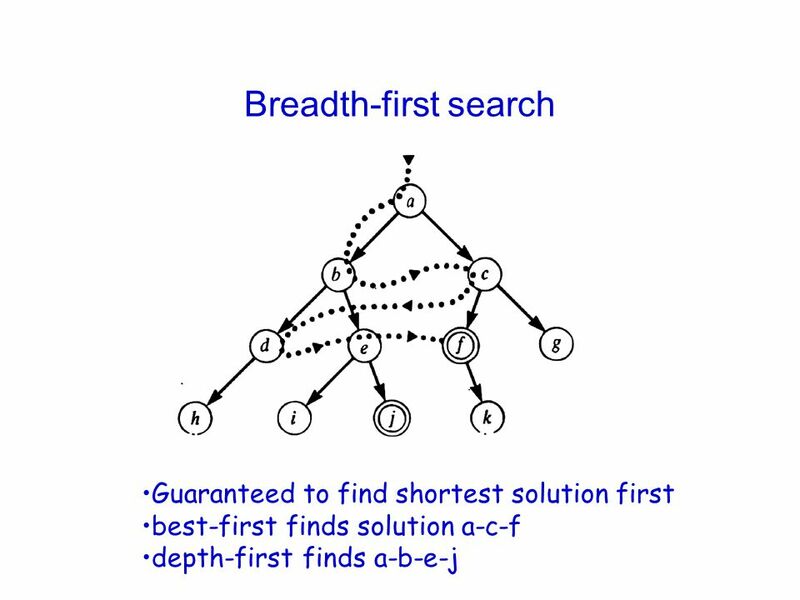 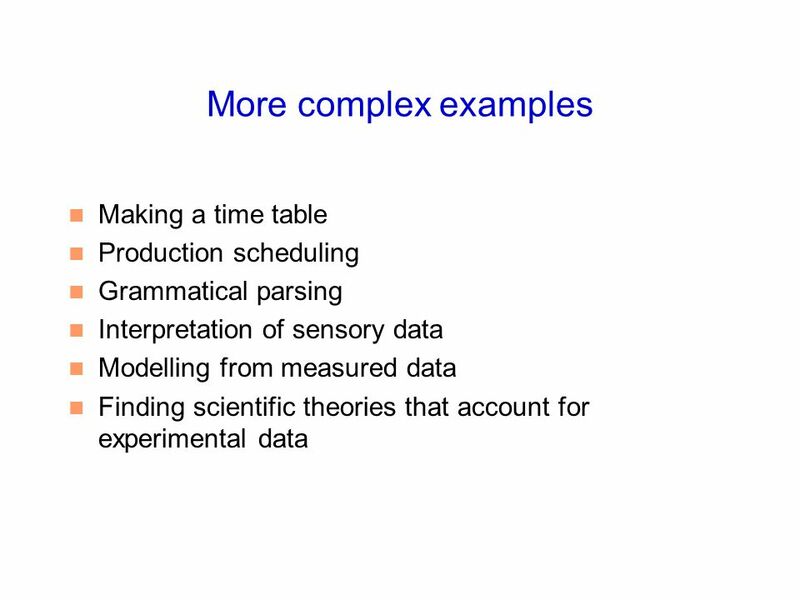 Search In order to build a system to solve a problem we need to: Define and analyse the problem Acquire the knowledge. 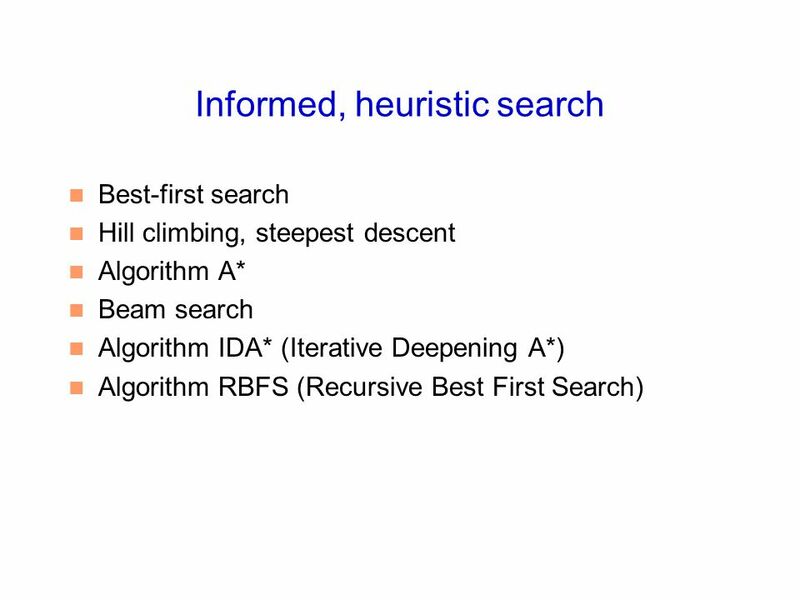 UnInformed Search What to do when you don’t know anything.